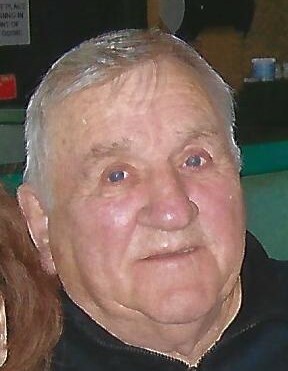 A true Irishman from Munjoy Hill and beloved husband, father, grandfather, great grandfather, brother and uncle; went into the arms of Jesus on March 16, 2019, with loving family by his side. He was born October 15, 1933, the youngest child of Martin and Delia (Griffin) Jennings. He was the Beloved husband of Virginia Falconieri whom he shared and enjoyed a very happy marriage for 64 years while raising five children. He attended Portland Schools then went on to have a successful career as a construction laborer for Laborer’s Union Local 12 plus 327 for which he was a member for 30 years, 3 years as Officer and President. As a devoted Catholic he was a communicate of St. Patricks Church and enjoyed memberships to the Portland Eagles and Maine Irish Heritage Center for many years. As a sports fan, he loved the Patriots, Red Sox, Notre Dame, and the Celtics. He was a great Jeopardy Fan and enjoyed doing crosswords in ten minutes and playing cards. He was also a voracious reader, he also enjoyed telling jokes and listening to Irish Music. With his wife, he traveled extensively through the U.S., Europe, China, and Egypt. He will be remembered for his wit and humor in which he always had everyone laughing, especially when he enjoyed spending time with his family and friends. Besides his parents he is predeceased by his beloved son, Michael, siblings, Edward, Katherine, Mary, Martin, Laughlin, Frances and Thomas, son-in-law Neil Woodruff. He is survived by his loving wife of 64 years Virginia Jennings, also by his children Delia Woodruff of San Jose, CA, Billy of Sudbury, MA, Enola Jacobsky and her husband Stephen of Windham, Janet Miller and her husband Arnie Willig of Seattle WA, He is also survived by ten grandchildren Stephen and Kara Jacobsky, Megan McDaniels and her husband Kyle, Ryan Woodruff, Julia and Will Jennings, Madison and Olivia Miller, Paine Jennings and Reid Myhaver, one step-grandchild Zoe Willig, one sister Irene Bernier and great-grandchildren Obi, Guillana, Olivia and Cross and many beloved nieces and nephews. The family wishes to thank everyone for their tender care that was given to William, especially Janelle and Staff at Dr. Barr’s office and Northern Light Hospice Care. He will be dearly loved and missed and fondly remembered. Visiting hours will be held on Sunday, March 24, from 4:00-8:00 pm at A.T. Hutchins Funeral Home, 660 Brighton Avenue, Portland. Prayers will be recited at the funeral home at 9:15 on Monday, March 25, followed by a 10:00 am Mass of Christian Burial at The Cathedral of the Immaculate Conception 307 Congress St, Portland. Burial will follow in Old Calvary Cemetery, South Portland.